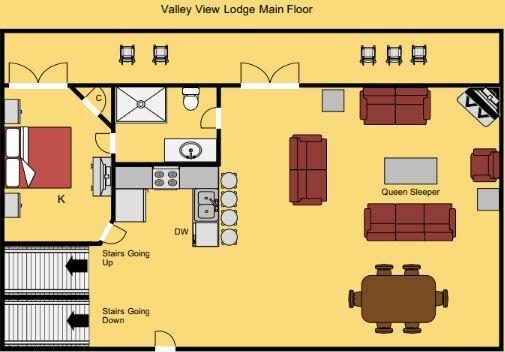 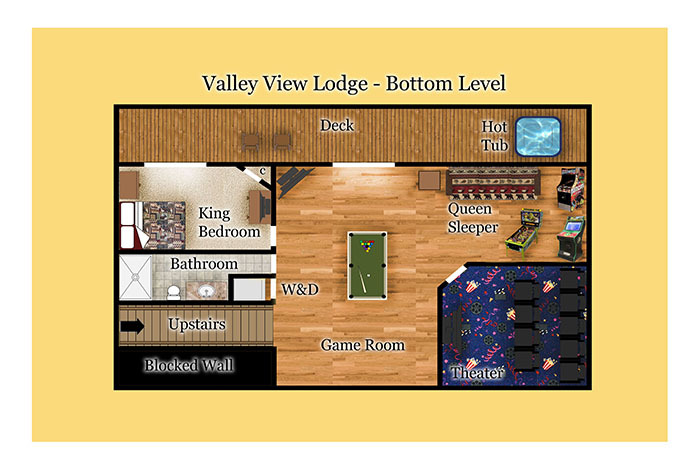 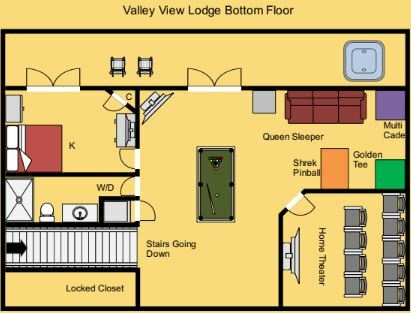 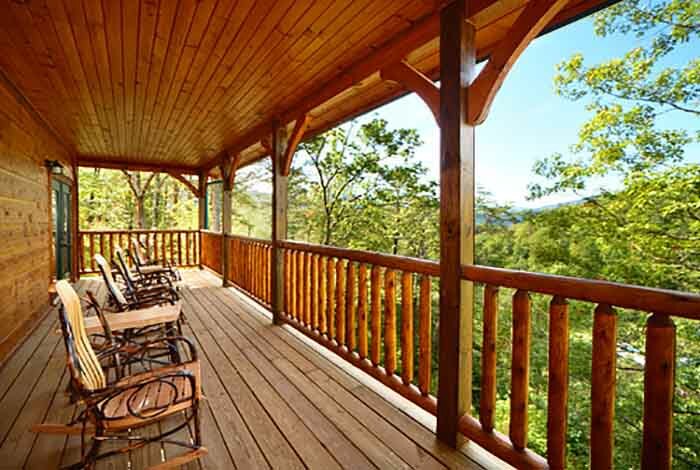 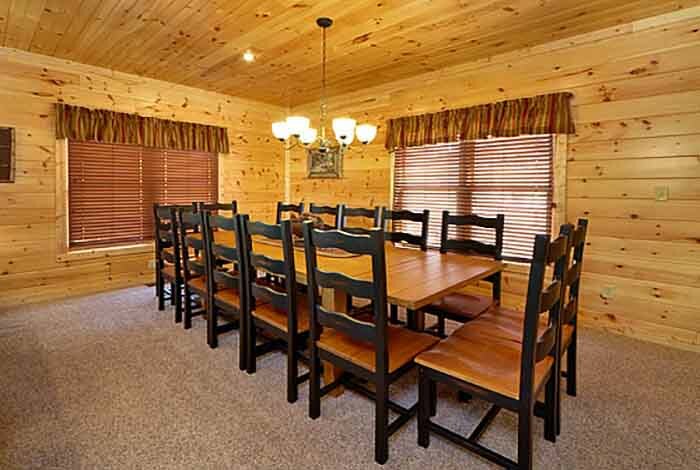 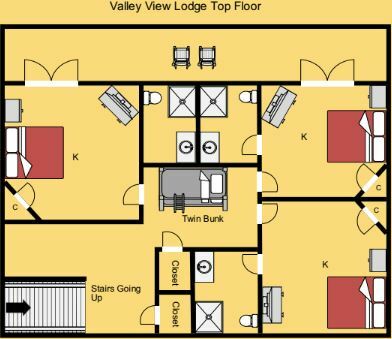 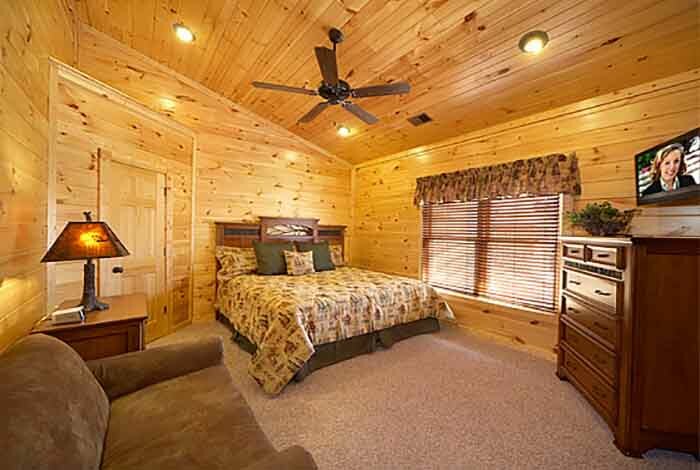 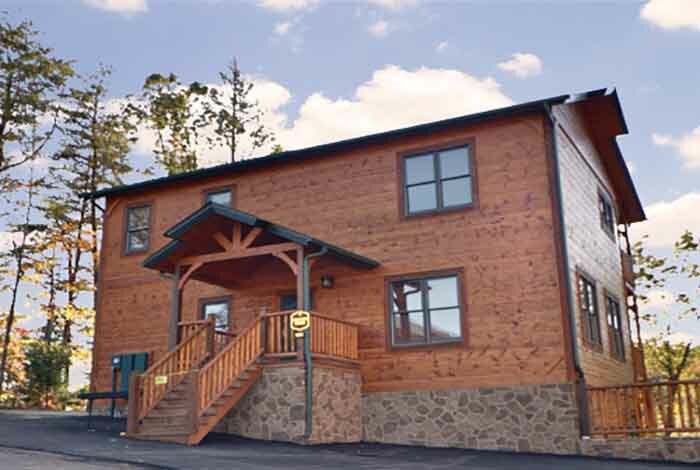 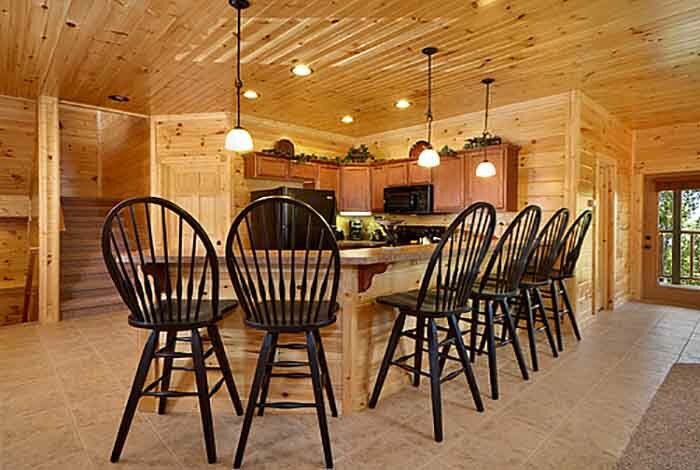 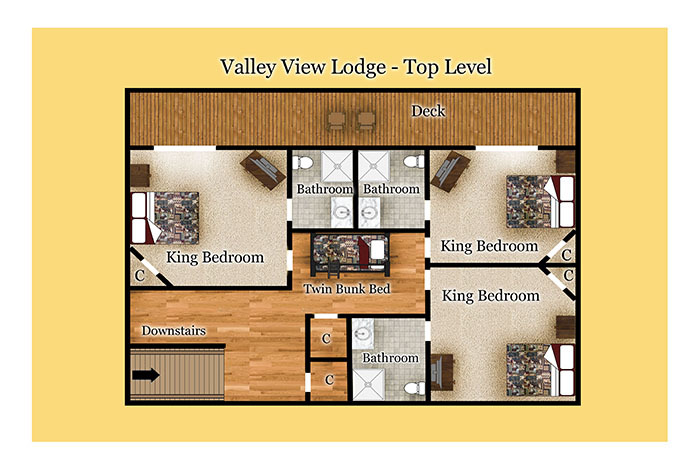 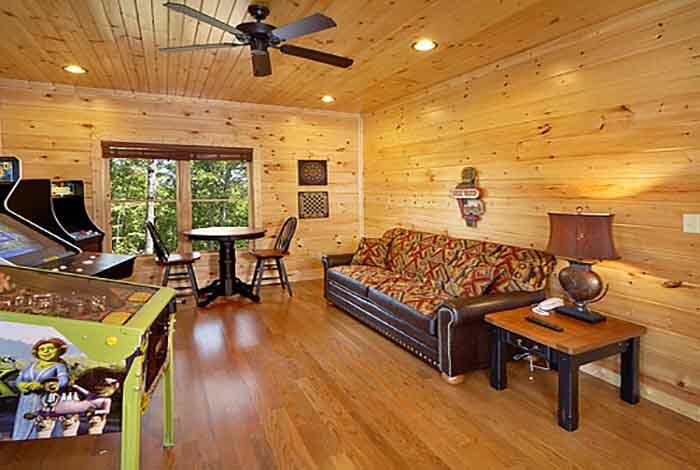 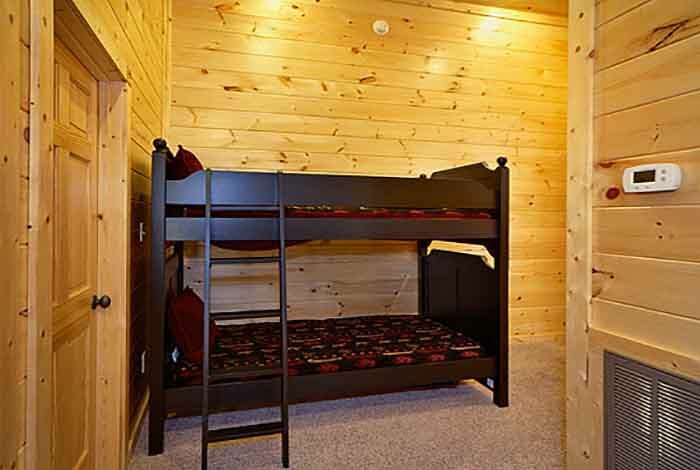 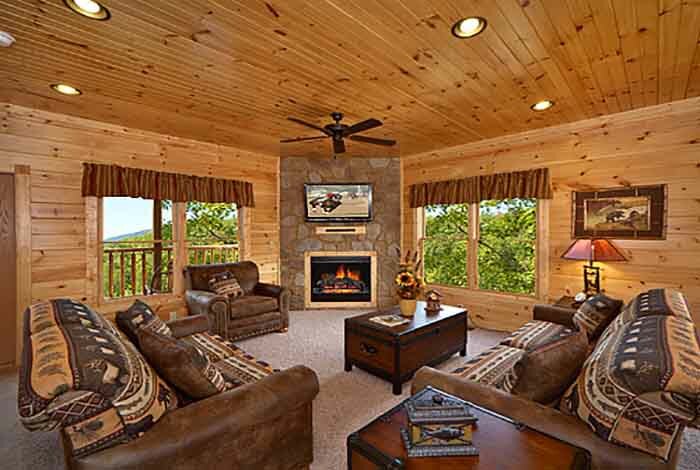 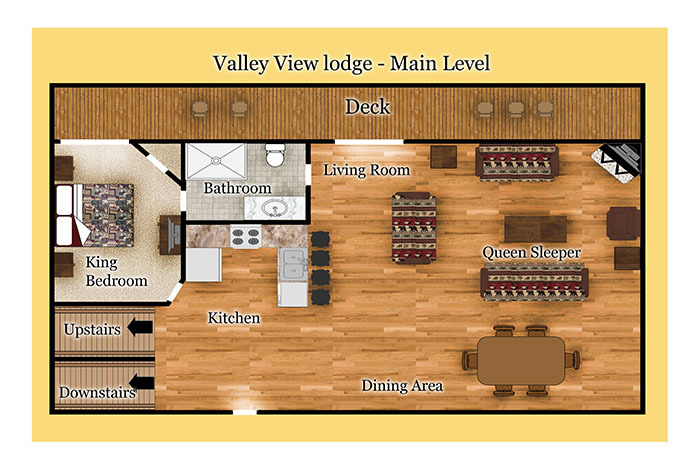 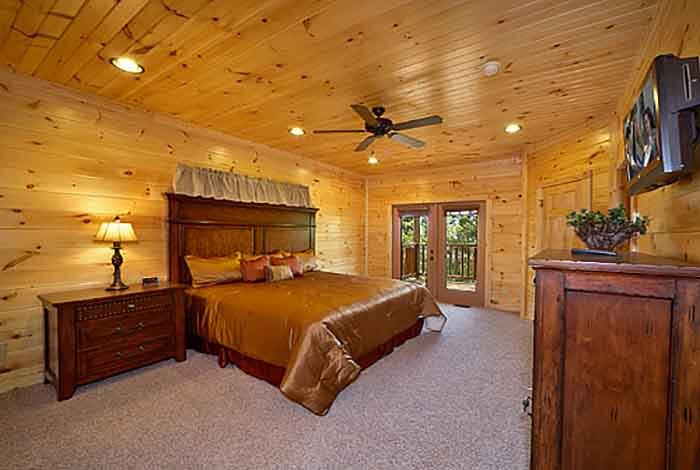 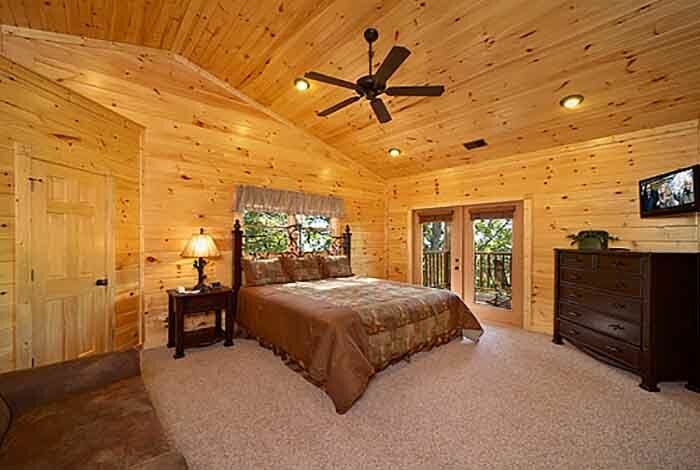 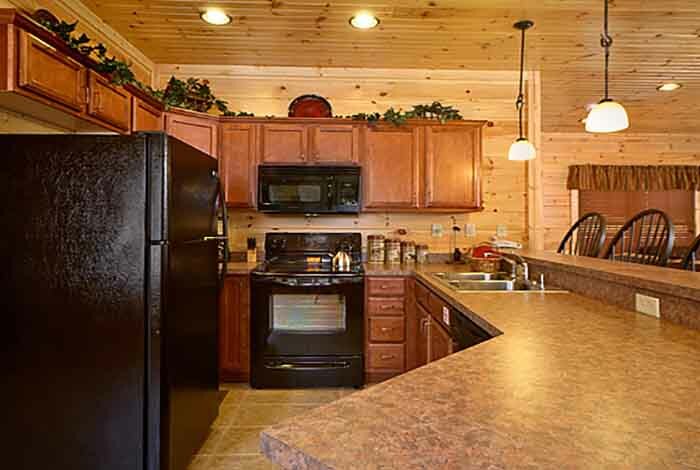 Gatlinburg awaits you all you need to do is pick the perfect cabin for your group, Valley View Lodge could be that cabin. 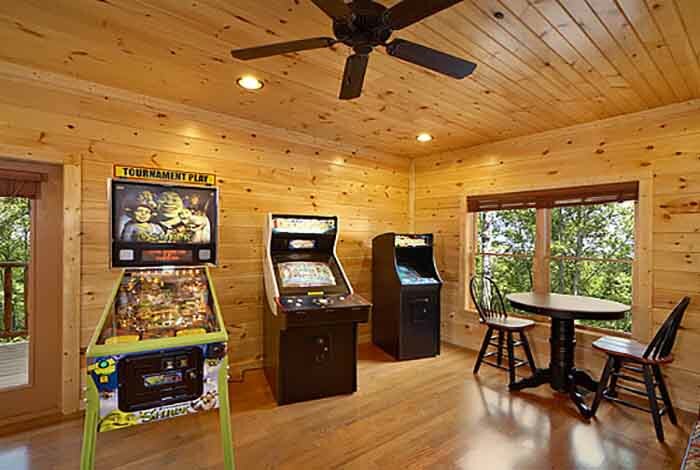 This 3 story wonder is filled with an assortment of games, from pool to pinball it’s got it. 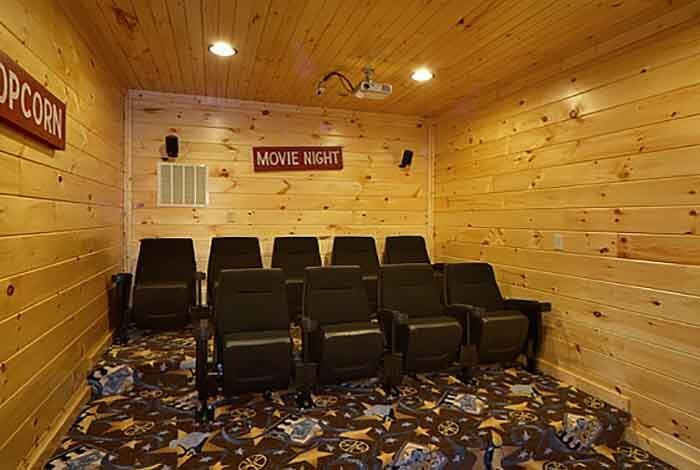 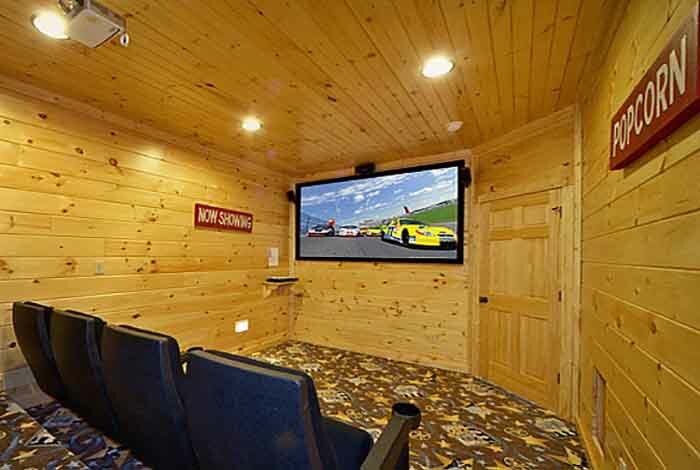 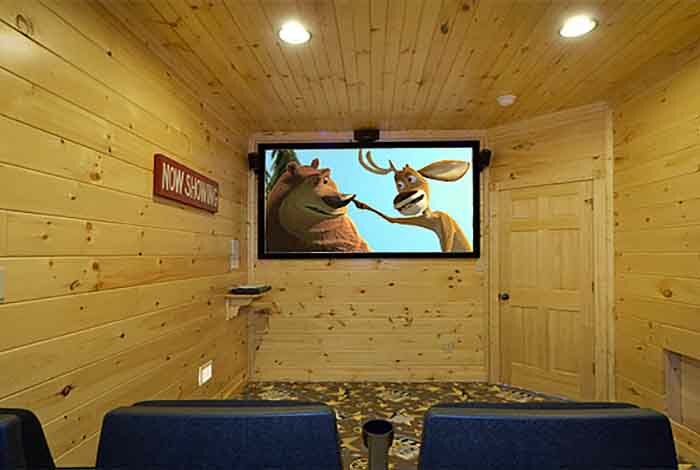 If games are not your style that’s fine to kick back with your friends and enjoy the theater room, see your movies like never before. 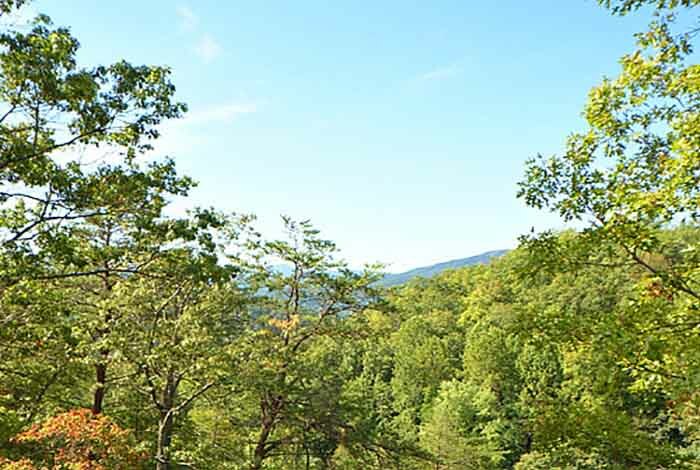 Are you eager to see the mountains and experience the smoky up close and personal? 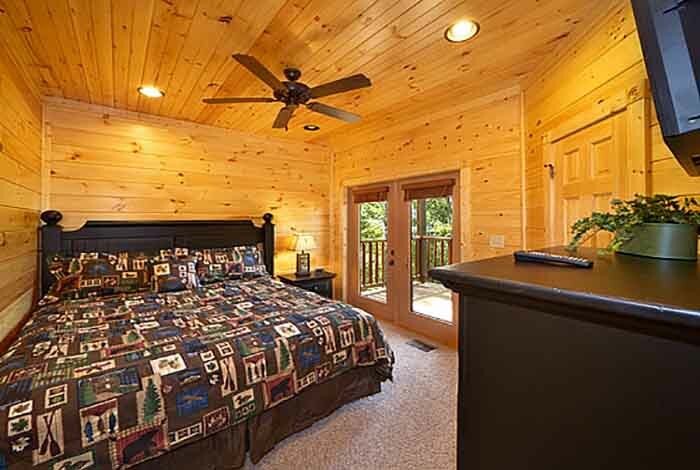 Then you will be happy to know this cabin is only 5 minutes away from the entrance to the national park. 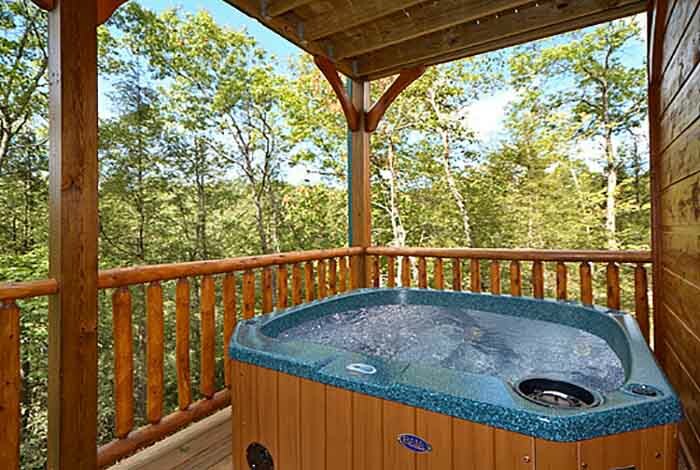 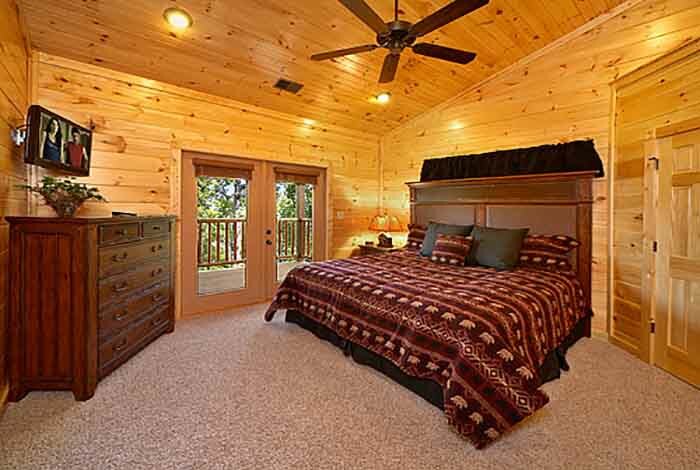 This 5 bedroom cabin has a private hot tub and is sure to please anyone with the pleasure of staying in it.